Did you know that you can book a library tour at RULA? Tours are offered daily, Monday-Friday, at 12pm. They can be booked by new and prospective students, staff, and faculty, and visitors to campus. Our tours can include visits to the The Ronald D. Besse Information and Learning Commons, The Isaac Olowolafe Jr. Digital Media Experience (DME) Lab and Collaboratory, The Geospatial, Map and Data Centre, and Archives and Special Collections, depending on the interests of the group. 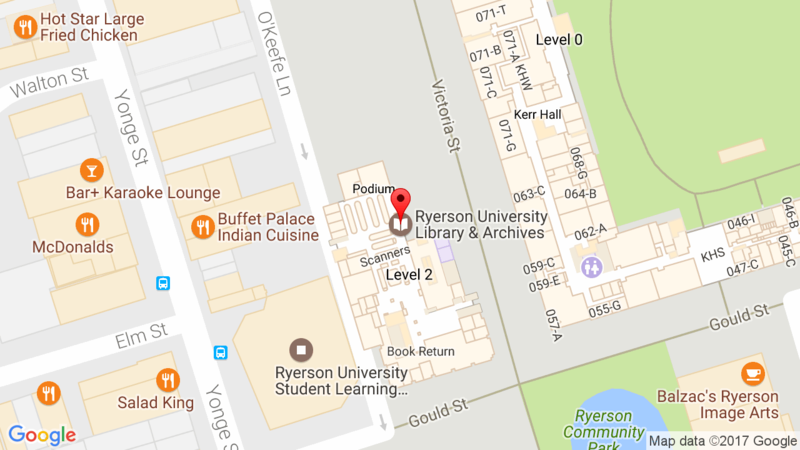 We can also do a tour in conjunction with the Ryerson Student Learning Centre if you interested in learning more about both buildings. Please book a tour online, and we will be in touch!